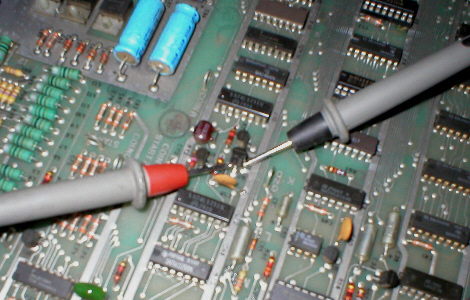 How to test transistors with a multimeter. One minute for each transistor. Set your meter to the continuity / diode "bleep" test. Connect the red meter lead to the base of the transistor. Connect the black meter lead to the emitter. A good NPN transistor will read a junction drop voltage of between 0.45v and 0.9v. A good PNP transistor will read "OL". Leave the red meter lead on the base and move the black lead to the collector. The reading should be the same as the previous test. Reverse the meter leads in your hands and repeat the test. 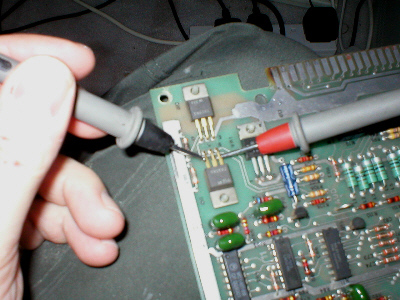 Now connect the black meter lead to the base of the transistor. Connect the red meter lead to the emitter. A good PNP transistor will read a junction drop voltage of between 0.45v and 0.9v. A good NPN transistor will read "OL". Leave the black meter lead on the base and move the red lead to the collector. The reading should be the same as the previous test. Finally place one meter lead on the collector, the other on the emitter. The meter should read "OL". Reverse your meter leads. The meter should read "OL". 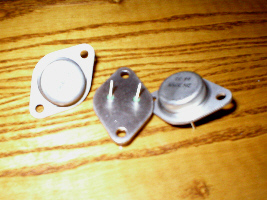 This is the same for both NPN and PNP transistors. With the transistors on a pcb in circuit, you may not get an accurate reading, as other things in the circuit may affect it, so if you think a transistor is suspect from the readings you have got, remove it from the pcb and test it out of circuit, repeating the above procedure. Here are a few types of transistor you may encounter.